I have just started a new role within the Institute of Educational Technology coming in as Acting Director as Josie Taylor steps down and retires. I have worked with Josie from my very first days here in IET 14 years ago. We constructed the funding bid to HEFCE for the Knowledge Network (or as we termed it then UNLOCK – University Networked Location of Community Knowledge) and set up the UserLab as a way to manage having several EU/internationally funded projects in the same area at the same time. Working closely with Josie as I have shadowed her over the last few weeks has been a great introduction and I am happy to say that I am able to take on IET in a good state. IET has slimmed down to now have about 90 staff in total across academics, researchers, academic related and support staff. But IET’s research is healthy and the works it carries out inside the university seems more in demand than ever. All universities are having to cope with changes in how students view them, how they have come to study and the different options they now have. Perhaps the impact on study at the OU have been even bigger as it is a university that operates across all four nations as well as through Open Educational Resources. The OU needs to cope with various systems and in particular with the way part-time study has to adjust to the requirements for loans imposed on students from England. That is a major change that needs to be reflected on in terms of learning design, accessibility, data analytics and quality enhancement. All aspects where IET places a major role within the OU. A big topic for this year is the coming together of learning opportunities around free resources. My research lies in this area, with the OER Research Hub, and the OU has brought together universities and other organisations from the UK and beyond in FutureLearn. This is an innovative way to lower the barrier to taking part in courses (in fact while typing this I though why not actually join the latest offering of a FutureLearn course from the OU on Ecosystems – the elapsed time from thought to registration was just under 2 minutes). FutureLearn and its Massive Open Online courses (MOOCs) is only part of a broader approach to OER for the OU. 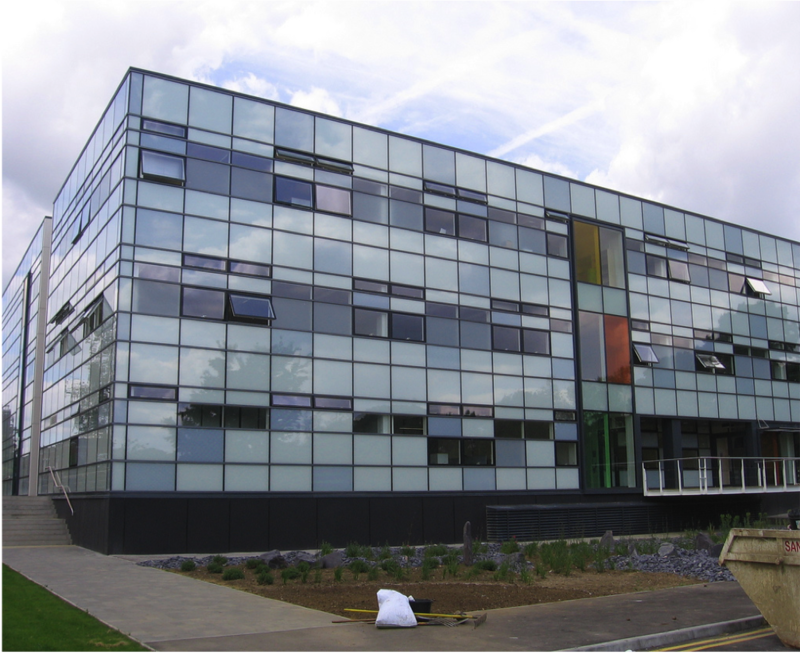 There are also direct open courses, such as OLDSMOOC and H817Open (both operated out off IET) and continuing investment in OpenLearn, iTunesU and YouTube from the OU’s Open Media Unit. Not forgetting great BBC programmes. 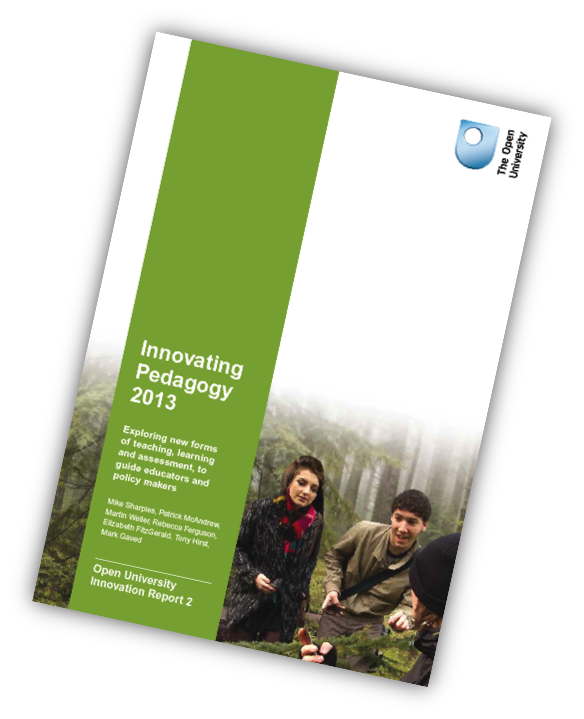 The work on the Innovating Pedagogy reports, which I was pleased to be able to be part oded helps us reflect on what this means for pedagogy. The 2013 report balances various options and considers 10 areas but one that is coming out as more prominent is how what we do with students is more and more overlapped with what is happening in the world. In the report this is seen as “Crowd-learning” and Mike Sharples in an article in the Times Higher speculates that perhaps 2013 is the year of the crowd. I had the chance to present on the Innovating Pedagogy report at the recent EADTU conference in Paris, already blogged by Leigh-Anne Perryman on the oerresearchhub.org site. My own slides (below) covered the pedagogic lessons from the open universities and how the innovations we report are helping review these. As part of a Martin driven experiment as explained here we are jointly creating a series of posts about the future of content. Already there is Part 1, Part 2 and a reply, here is Part 3 and Will Woods is on to do Part 4. Creative Commons Attribution 2.0 UK: England & Wales License. In this section perhaps it is worth taking a slightly different line to that of Martin and Ray: they have already provided thoughtful sections laying out the collected views and examples for moving towards more freedom of content and some of the potential pitfalls along the way. What I hope to do is take a more personal example and perhaps provide a case study in the middle of this collective essay. My case study relates to the OpenLearn initiative where the Open University has released material on an open access basis offering free learning resources inside an open access learning environment. Doing this has meant facing all sorts of choices and there are various surprises for me and things to learn from what we have done – not all of these will make this beta release. Instead I want to look at the bigger picture and the hints it gives of a bright future around open educational resources and the freeing up of content. For most cases in the education world it seems to me that the first reason is enough: content has been produced and used and its most likely future is to never be seen again. Then open content can rescue it and share it with the world and maybe give it a new life, or at least let everyone know that it exists. This becomes the “why not” answer to why produce open content and I think that can be a very valid approach, provided we get the barrier low enough. Altruism can also be a very valid reason in itself, OpenLearn’s sister project TESSA (Teacher Education in Sub-Saharan Africa) sets out to help some of the world’s most needy by addressing teacher shortage in Aids damaged African economies. Then the value gained by saying “please take this and use it as you can” is much greater than any possible by retaining hold on the content. Creative Commons has been one of those let’s just start to be sensible moments that can make a difference. It has made it (fairly) clear what people who are ok about not making any direct money out of their work can do to release their work for others to use and, if they wish, allow them to build on the work further. When we were starting the OpenLearn initiative how we should describe our licensing of material was seen as a big task; Creative Commons greatly simplified the process as it gave us a position to adopt and we were able to bypass a lot of careful legal work. Creative Commons has no magic formula, probably has a licence with a few flaws in it, but works because a lot of people have agreed to use it and get on with doing what seems right. Open Source software is another example of joint actions by many that has resulted in good work. [Insert here favourite example of open source product – I will probably use Moodle when I get around to it.] The lessons of open source to open content though need to be carefully applied. Open source has an ideal of incremental development and new versions interating to an improvement. Open content so far has often been released with an existing stamp of source, and part of the reason for using it may come from its provenance: is it too good to be messed around with. I think that this can hold back some but as time passes and the opportunity is more obvious to add in new features, fit content to context or make major changes such as translations a move towards changing versions will be seen. Content is not king. Not very many years ago my colleague Robin Mason would use that statement as way to present a radical view. This seems to be becoming the new conventionalism and social actions (nearly wrote socialism but that would not do) are seen as the be all and end all: community is king. Actually while content is not king, it is not nothing. Similarly while community is important it is not everything to everybody. I find myself here having to switch my own arguments from the need to build as little content as possible to one where the content can feed in from all directions. We are in a more connected world and the connections can be social but they can also be independent, what I believe that should not be is unnecessarily protected. In working on software, putting together proposals or even carrying out research, there are sometimes things that just feel right. Open content and free provision is one of those things. If that “feel” resonates with enough people then for reasons that Martin outlined in the first part free and open will carry over closed and priced. Ray looks for the sustainable models for open content and wonders if we remain a long way from the vision of free and open content that Martin proposes. Looking into the educational world (not as broad as Martin) the question of sustainable models is sufficiently complex that it probably has an answer (can you demonstrate that anything you do has a sustainable model!) and I also think that an open future is close enough as the critical mass need not be very large, the switch that is needed is to not just be producers of open content but also consumers and recognise its value.